Primorsky Regional College of Art was founded in 1957. In the first year the College opened four departments: conductor-choral, folk instruments, piano and vocal. In the following years the Colledge opened music theory, string & bow instruments, pop and wind instruments departments. Over the years, the College of Arts has trained more than 3,000 professionals. The College also offered teaching excellence courses, lectures, lessons and master classes, as well as territorial and regional competitions. The Summer Arts School for Talented Children of the Far East and the Asia-Pacific Region became traditional event. Since 1999, this instition trained 810 young musicians and more than 500 teachers. 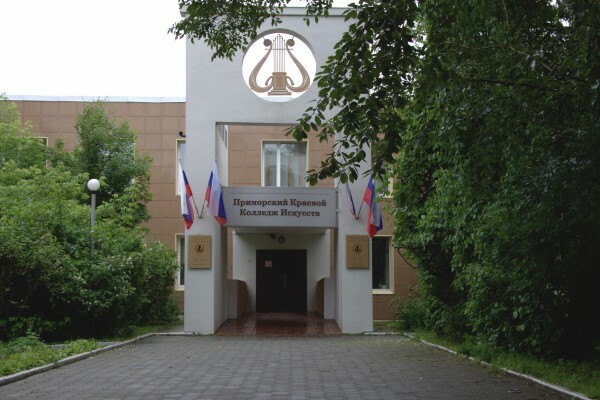 In 2014 the Primorsky Regional College of Art has been restructrured affiliating with the Nakhodka Music College, which was named as Branch of Primorsky Regional College of Art in Nakhodka. Currently, the College has about 300 enrolled students. The College infrastructure comprises academic building, comfortable dormitory, two concert halls (380 and 80 seats), dining room and gym, library and sound recording archive, classrooms for individual and group lessons, equipped witih sound recording studio, concert sound equipment and musical instruments.